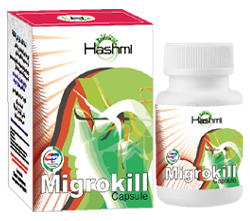 Why let the migraine ruins your life when there is Migrokill capsule that are more effective with no side effects? These capsules are derived from natural herbs and properly packed in 60 capsules per packet and they are known to be the most reliable herbals with no addictions. Most victims who suffer from migraine experience pain for more than 4 hours which may lead to other serious complications on the head. Migrokill capsules are the ultimate solutions for these problems.